Have you ever tried writing or drawing with invisible ink? I recently tried an activity with kids where we painted a picture using lemon juice. 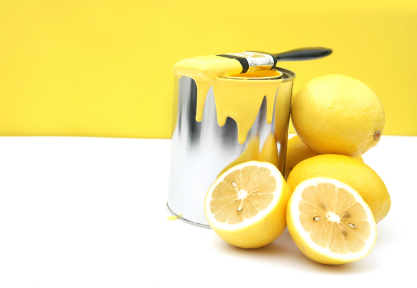 Of course, we quickly realized that when you paint with lemon juice, you cannot see the picture being created. Instead, you have to do your best to imagine it and you have do your best to move the paintbrush along the appropriate path. After the lemon juice dries, there are ways to reveal the picture. Now think about this… Since you cannot “see” what it is you are making, you may find yourself wondering how it will, or if it will, turn out. You may even consider giving up because you are thinking that you will never be able to finish the intricate design that you had first dreamed of and thought would be so incredible to create. So, you have to make a choice. You either quit; or, you have a little faith and do the very best you can. Isn’t this a little like life? We can’t really see what our life picture looks like when we are in the middle of it. We can’t tell if we are coloring inside the lines. Sometimes we have a hard time figuring out if we are still coloring on right page. At some point, though, we have to make a choice. We have to decide whether to quit or to trust the one who created us and is guiding our life. In that choice of trust, we have to believe that we have the abilities to do what we have been created to do. We have to believe that we were put into the right place at the right time. We have to stop trying to jump to the end and, instead, be faithful in doing the little things that we know we are supposed to do. Sometimes we have to learn something new. Sometimes we have to be patient and wait. Sometimes we have to follow a direction that is out of our comfort zone. But through it all, we have to choose to “be who we are created to be”. God created each one of us. He created us uniquely and intentionally. Remember that God loves you, has a plan for you, and designed you to be exactly who you are. God created each of us to be different from one another; and, as we see how we are different, we learn how God has created each of us to make a difference in the world around us. What a privilege to be on the canvas of God’s masterpiece! Great post! Pertaining to your post, I love the “Chisel Skit” by the Skit Guys! Goes right along with it! The “Chisel Skit” is a great skit – brought me to near tears the first time I saw it. I love the Skit Guys – they have so many cool, thought-provoking, and inspiring skits.